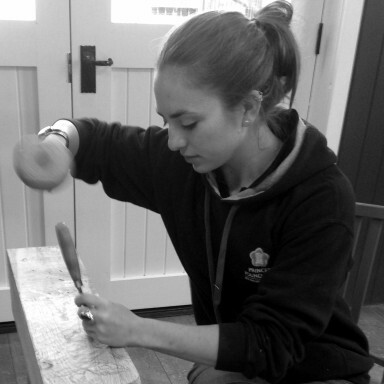 Sarah is a woodcarver based in West Sussex just outside Midhurst. She produces new and replica carvings covering a wide variety of subject matter from lettering and relief to architectural details. She also offers gilding (oil and water).